Over 2800 sq ft of finished quality in this walkout ranch villa. Convenience is evident in every aspect of this home with lawn care, irrigation, and snow removal included in the Association. Welcoming front porch, a great open floorplan with vaulted ceilings, LVP flooring through entry, kitchen, and main living area. A large center island with seating for 4-6, gas stove, corner pantry, beautiful lighting and gorgeous trim details. Stacked stone fireplace with custom mantle framed by windows. Enjoy a pond view from the deck and back yard. Master suite features a tray ceiling, double-sink vanity, tile shower, and large walk-thru closet connected to the laundry room! Walkout lower level with a spacious family room, wet bar, and 2 addl bedrooms w/ full bath. Central location adjacent to the new green space/park! 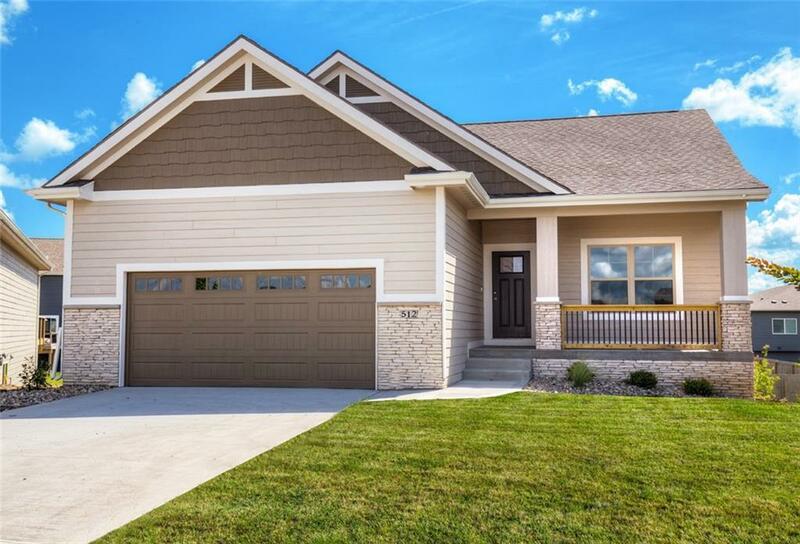 Trails, ponds, new IMAX theater, HyVee, restaurants and schools within minutes! $2000 closing costs with Builder's Preferred Lender.